In this fourth Q&A session, I take a look at some of the questions about Twitter that Israelis are asking me. I always try to get the questions and answers as close as possible to the actual conversation but in some cases I’ve changed things to protect the reader’s identity or I’ve given a longer answer than what was possible at the time due to the fact that Twitter – where many of these questions are coming from – only allows 140 characters per message. Is Twitter relevant for Israelis? Do you think we can also use it to find a job or it is not yet popular enough in Israel? It’s true that Twitter will only get better as more Israelis join it but there are already a good number of Israelis on Twitter, many tech-savvy people in high tech but not only. 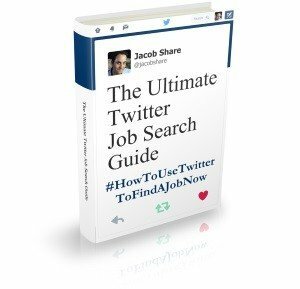 That said, not many Israeli recruiters are using it yet, which means that using Twitter in Israel is mostly about the hidden job search (the best kind?). There is a growing list of Twitter feeds for jobs in Israel that you can see in my 400+ Twitter Feeds of Job Openings From Around the World (I just added another job feed there today), but the real power of Twitter is for networking, and the sooner you have a network built on it, the sooner you can get a return out of it. Why is it better to use a job feed in Twitter like @ManpowerIsrael and not search directly in their site? Convenience – if you’re already active on Twitter for networking purposes, now you can stay in Twitter for other job search activities. Organization – Twitter client programs like Tweetdeck and Seesmic Desktop let you categorize your Twitter job feeds so you can keep them arranged in one place where they won’t get overwhelmed. Familiarity – suppose you wanted to follow 5 Twitter job feeds. It’s easier to do it all with a user interface you’re familiar with – Twitter’s – than having to go to each of the 5 websites in question. How and where can I obtain a marketing or product manager position? A good place to start is by doing an advanced Twitter Search on your target job title’s keywords in English and in Hebrew. For example, here’s a search on “marketing OR שיווק near:”tel aviv” within:15mi”. 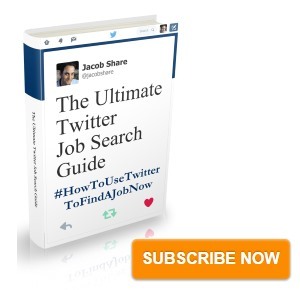 For more Twitter job search tips, sign up to my Job Tips newsletter so you can get the upcoming The Ultimate Twitter Job Search Guide. Great post about jobs in israel, im searching right now. Is it a good idea to go to israel without a job? I am Kamal from Nepal looking for Israel Visa. Who can provide? If you can plz let me know honestly. What is the current rate of unemployment in Israel?